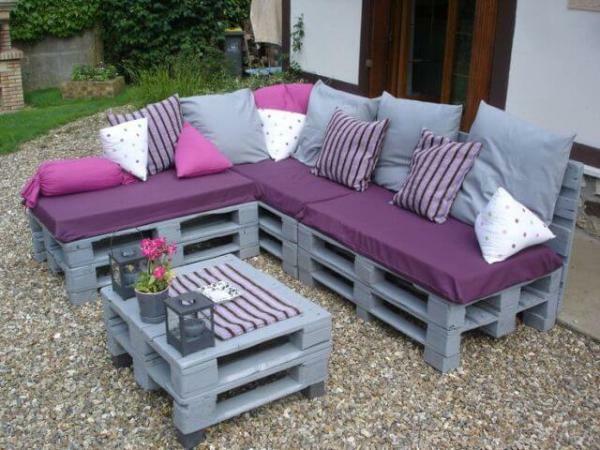 This amazing pallet furniture is going to make you obsessed of wooden creativity and architecture! 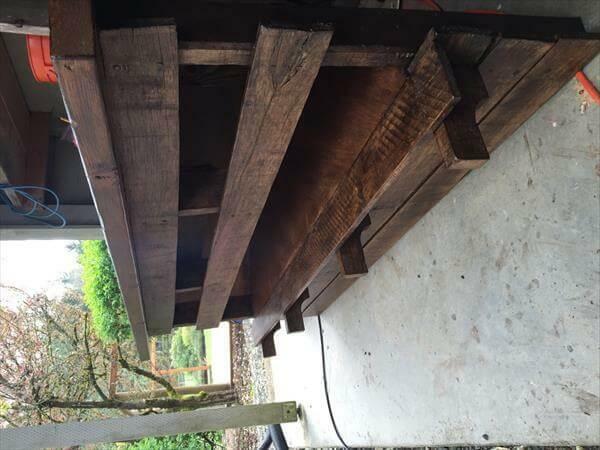 We always face great difficulties while organizing our media but this DIY pallet sectional TV stand will surely be awesome for awesome organization of your media and display screen. 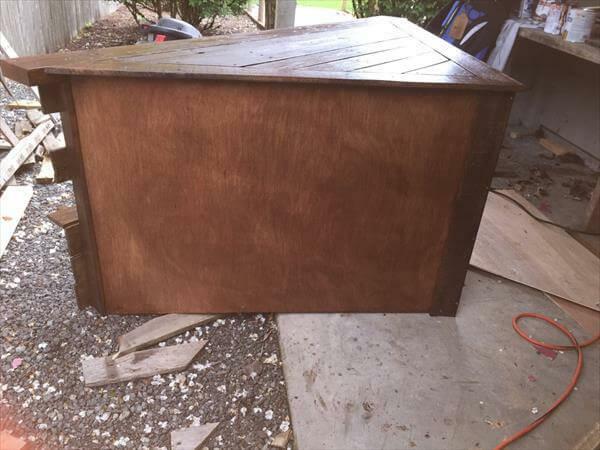 It has been made of pallets and some plywood sheets to serve as the side walls. 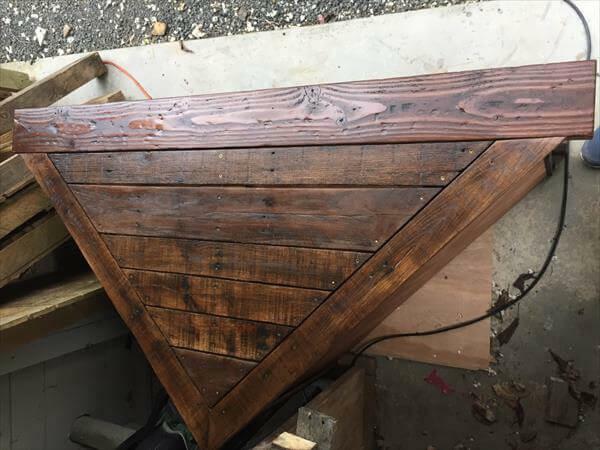 The triangular style of DIY pallet media stand can easily be fitted to your media room or living room corner and will surely be a scene stealer! 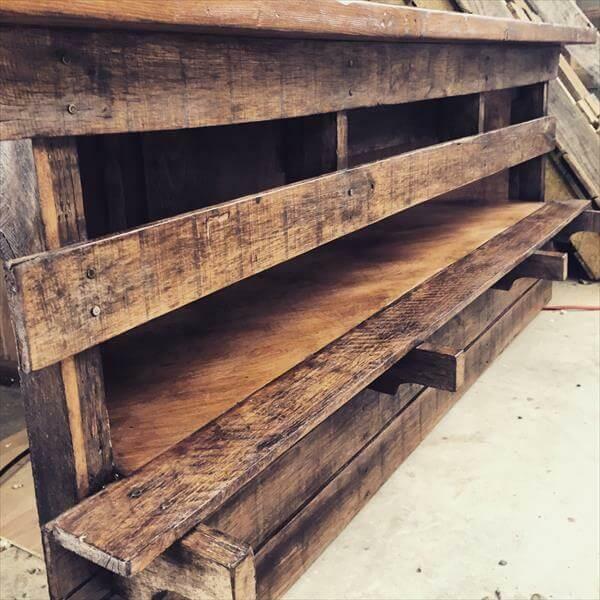 Pallet boards have been gritted to give a sliver and splinter free touch of wood and one can do it using easily at home using a medium grit of sandpaper. Design comes with different levels of pallet shelves to store a variety of media concerns inside! Table can be polished for a sleek look can also be finished with gloss stain to bring the wood grains out!